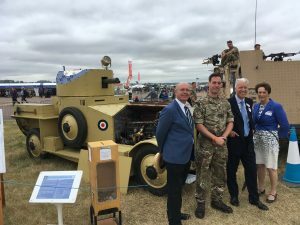 The RAF Regiment, of which 603 Squadron forms part, recently attended the Royal International Air Tattoo, the largest military air show in the world – with over 50 air forces on show at Fairford in Gloucestershire- as part of its 75th Anniversary celebrations. Their exhibition inside the RAF village showed off their work in tackling chemical and biological attacks, using advanced protection equipment. They also had their gunnery instructors showing off some impressive armaments. Their collection of early armoured cars features a completely unique and still running 1927 Rolls Royce model used in the Iraq campaign. Attending the show were the Master, with Air Marshal Sir David Walker who, with HM The Queen, is Joint Honorary Commodore of the City of Edinburgh Squadron. 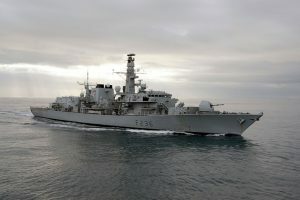 HMS Montrose is a Type 23 Duke class frigate based in Plymouth and has been our long-standing naval affiliate since 1998. Our association remains very active, with Liverymen occasionally visiting the ship at home and when deployed operationally overseas. 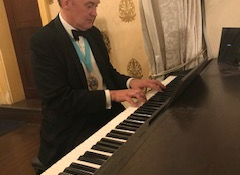 We provide a Team prize each year and host members of the ship’s crew at Livery functions. 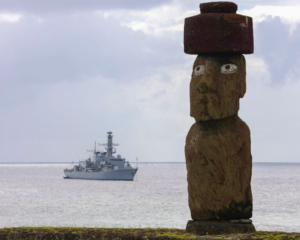 HMS Montrose sighted off Easter Island, February 2019. Last port of call – Auckland NZ. 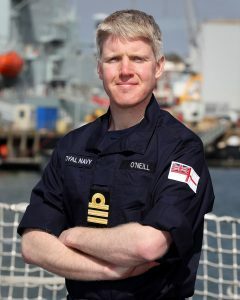 On 7 July, HMS Montrose sailed from Devonport, Plymouth for the first time since she entered an extended refit period in 2014, under the command of her new captain, Commander Conor O’Neill Royal Navy. She rejoins the fleet formally in November. 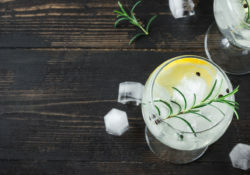 The rededication ceremony will take place on November 23 at Her Majesty’s naval base Devonport, where our Distillers company will be represented by Steve Wilson and Nick Carr. 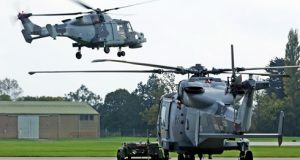 825 Naval Air Squadron – our naval aviation affiliate – is based at Yeovilton in Somerset. The Squadron provides the flight crew and support teams for the front line Wildcat helicopters that serve on board the fleet worldwide. 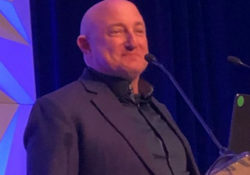 The Distillers’ prize is awarded annually to the most outstanding young engineer in training. Formerly the London Scottish Regiment, A (London Scottish) Company, The London Regiment is our longest standing military affiliation having been officially adopted on 3rd March 1965. The London Scottish Regiment has always been a volunteer, now Reserve, unit and has seen action in many of the major conflicts in the last 100 years with battle honours from Messines in Belgium in 1914, where the Regiment was the first Reserve Unit to see action in WW1, the Allied invasion of Sicily in 1943 and more recently providing infantryman as part of Operation TELIC (Iraq) and Operation Herrick (Afghanistan). Two members of the Regiment were awarded the Victoria Cross in WWI and one in WWII. Reformed some years ago as a Company within The London Regiment, A(London Scottish) Company, proudly retains its own identity with the distinctive Hodden Grey uniform, and cap badge featuring the Lion Rampant with the moto STRIKE SURE. The London Regiment is the only Reserve regiment in the Guards Division and it provides highly trained infantry soldiers to reinforce the five regiments of the Foot Guards (The Grenadier, Coldstream, Scots, Irish and Welsh Guards) on operations all over the world. A (London Scottish) Company, led by Officer Commanding Major Jamie Barklem, is closely affiliated with the Scots Guards, and offers a range of light role capabilities, operating on foot, carrying out skirmishes and undertaking reconnaissance. With its Company Headquarters and rifle platoon located in Westminster and the specialist mortar platoon based in Catford, South-East London, A (London Scottish) Company have specialisms in both individual and support weapons ranging from the SA80 Personal Weapon and General Purpose Machine Gun to the 81mm Mortar.